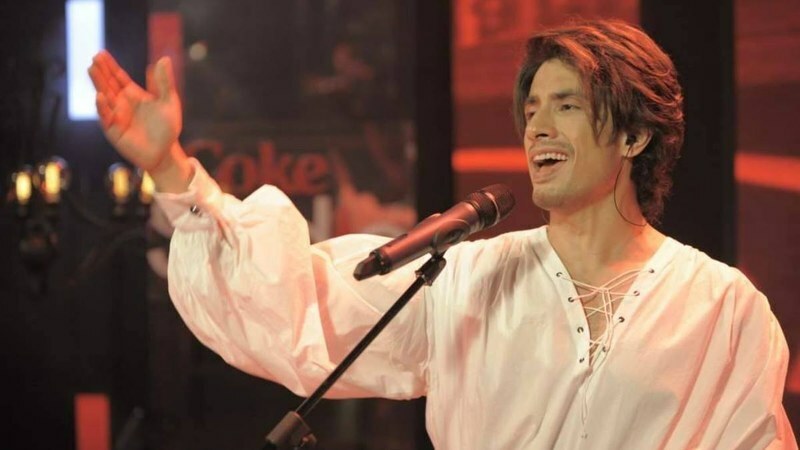 Barring the bungled 'Sayonee', Coke Studio Episode 2 didn't offend with Ali Zafar's tribute to film composer Master Inayat Hussain, Jaan-e-Baharaan; Ali Hamza, Ali Sethi and Waqas Ehsin's super-fun 'Tinak Dhin'; and Jaffer Zaidi and Qurat-ul-Ain Balouch's lilting ballad 'Faasle'. Here's what we thought of the tracks. Shuja Haider gives a Spanish twist to film composer Inayat Hussain's 'Jaan-e-Bahaaraan' for Azra (1962) (and Ehtesham Ansari obliged with a Zorro/flamenco-inspired look for Ali Zafar.) Ali Z had Salim Raza's big shoes to fill and managed adequately enough. 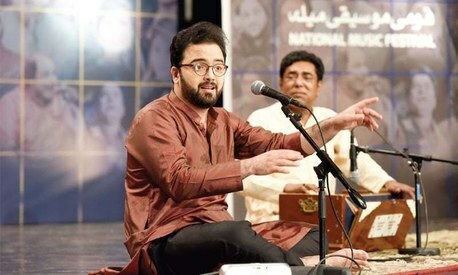 What makes the song a pleasure on multiple listens is the creative liberties Shuja has taken with the track, like the violin flourishes, some classical guitar and the inclusion of the rubab. But of course, purists may not be completely satisfied. With simple, unpretentious lyrics and composition, Jaffer Zaidi's and Qurat-ul-Ain Balouch's ballad will speak to the brokenhearted of love, loss and bitter goodbyes (we've all been there, right?). But one can't help but say: don't we have enough of these tracks? Fans of Jaffer Zaidi wait to see him branch out from his sentimental signature and surprise us with something new. 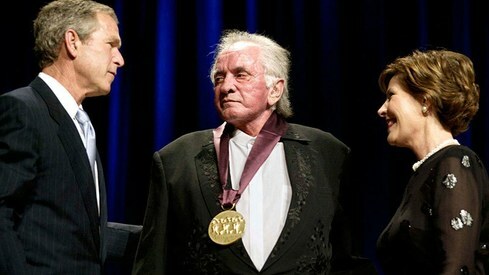 Still, there are oodles of fans of his style, so should we really be complaining? If it was a cover at a concert, RFAK and Ali Noor's version of 'Sayonee' could have been forgiven. But Ali Noor and Rahat — both vocal powerhouses in their own right — failed to undo memories of the original vocalist Ali Azmat, and at Coke Studio, we've come to expect iconic tracks to be reinvented such that both the original and the redo are cherished by different camps of listeners. We're not sure how many will have this 'Sayonee' on their playlist. The other Noori brother fared much better with this fun, uplifting folksy number. Ali Hamza pairs up with Ali Sethi and Waqar Ehsin for this track about life's ups and downs. For what it's worth, it's the episode's most danceable number and we won't be surprised if we see some version of it appear on a film soundtrack soon. The biggest casualty of the Coke Studio this season so far has been 'poetry'. RIP, Urdu 'sha'iry'! You got brutally murdered by the corporate greed and its misplaced musical priorities. The whole problem with this Coke studio version of 'Sayonee' is Salman Ahmad. He should quit dragging this song along. He should also get rid of his 'sufi' image once and for all. His brand of music is extinct. In the interest of fairness I forced myself to listen to the whole song. After a disastrous start (i.e. zero energy lullaby voice), the lead singer does capture the essence of the song at around 4:20 for about 20 seconds, but it doesn't last long. It's clear that the singers are not paying attention to the actual words. They have no clue that the words convey both a lover's passion and yearning. The passion in this rendition is so fake and sporadic, it makes a mockery of the words. The singer can't sustain the passion, so he takes refuge behind instrumental interludes. The element of yearning is absent altogether. As for the secondary musical accoutrements, e.g. the guitar, violin and Spanish flair, the less said the the better. People will still be listening to the Saleem Raza version in another 50 years. I doubt anyone will remember this rendition 50 days from now. Disappointing first two episodes. Songs have been average at best. Strings have let Coke Studio down. It almost seems like they've lost interest in producing the program. Calling Rohail H.
You are saying that Jashn-e-Baharaan was a fitting tribute. This is my favorite song and is my caller tone for the last so many years. I am a bit disappointed with this year Coke Studio. First the Pakistani Anthem, which looked like the singers were forced to sing at gun point. Do we need a Spanish touch for this song. Perhaps both Inayat Hussain and Saleem Raza will be in pain at what CS did to their song. @Shahida Khan the urdu 'shar'iry' of 'faasle' was beautiful. Ali Zafar's Jaan-e-Bahaaraan lacked emotion, you could feel the emotion in the original. The CS version was very mechanical and lacked soul. Both episodes so far have been disappointing.